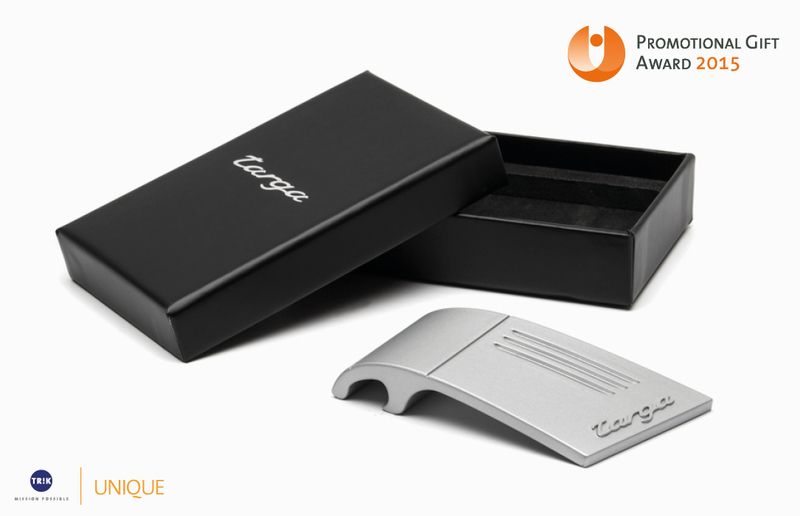 We were once again awarded with the Promotional Gift Award in the category special model for the development and production of the Porsche 911 Targa bottle opener. The article was inserted within an extensive communications strategy for the introduction of the new Porsche 911 Targa. The special production featured a completely new development. 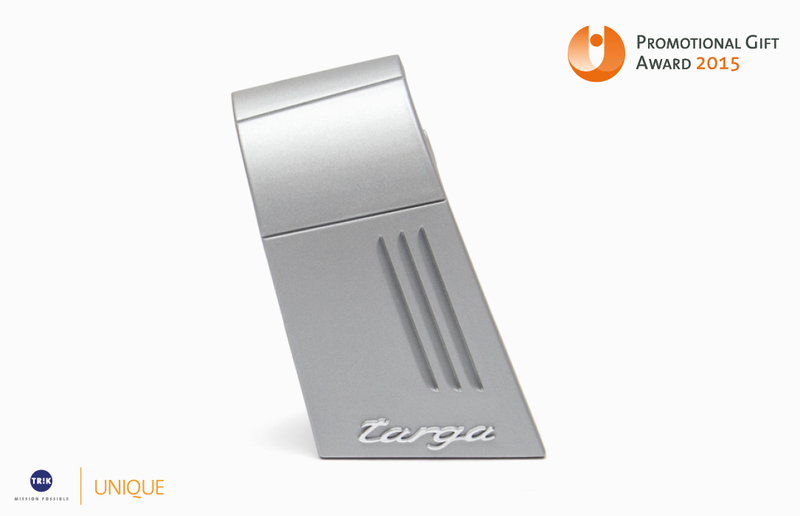 The bottle opener which takes up the “trend-setting” design element, the aluminium handle, was replicated true to the original from an original component of the vehicle model with the aid of technical drawings. Thus the sunken lines and the “Targa” logo standing out in the cast metal are retrieved. The bottle opener is delivered in a matt cellophane wrapped gift box with snap-on lid and black EVA-lining. The promotional article transports in a “grasp-able” manner the communication goals as well as the Porsche brand value – design, exclusivity and tradition. Every customer or interested person can thus take home a “piece” of Porsche on handover by the dealer. This won over the jury.